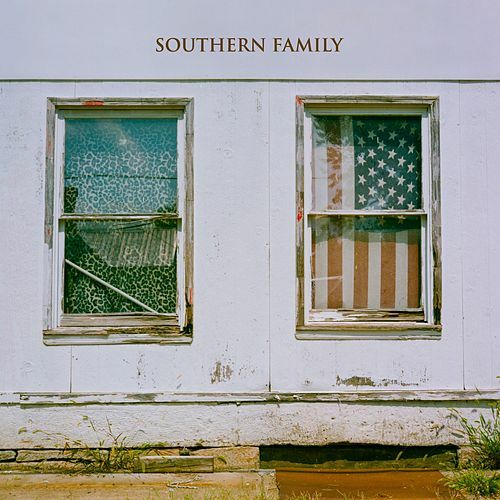 Nashville's "It" producer Dave Cobb invited some of country music's most respected names to contribute songs to _Southern Family_. The idea, loosely based on the Civil War concept album White Mansions, was to show through song what it was like growing up in the 20th century South. And while some offerings graze into Southern Gothic pastures, most offer warm, detailed snapshots of happy times. On the upbeat charmer "Can You Come Over," Shooter Jennings recalls how his parent's (Waylon Jennings and Jessi Colter) house was the hub of social activities growing up -- and how he'd rather stay in his room. Brandy Clark offers a full-on gut-puncher recalling the days leading up to the death of her grandfather in the heartbreaking, "I Cried." Clark adds color to the narrative by including the parallel story of her grandmother, staying strong during her partner’s illness and the loneliness that followed in the wake of his death. Miranda Lambert nails the album's spirit when she sings, "Family's the light that guides us, blessed be the ties that bind us," on the honeyed "Sweet By and By." Other highlights include Anderson East's blustery, Hammond-kissed "Learning," Holly Williams' fidgety "Settle Down" and Zac Brown's analogy-tale of "Grandma's Garden."